Over the last two years, the media has widely covered litigation involving NFL injuries and wrongful death involving repeat head injuries over the course of a career. These players have suffered serious and permanent brain injury, resulting in loss of cognition, memory loss, loss of motor skills, and other defects. In some cases, the repeat head injuries have resulted in wrongful death. Now, players from the National Hockey League are following suit. According to Sports Illustrated, 10 former NHL players have entered into a class action lawsuit claiming that the National Hockey League failed in their duties to prevent concussions and long-term damage caused by brain injuries. Though lawsuits involving sports injuries can be complicated, plaintiffs who can demonstrate that an individual or entity failed in their duties of care or acted negligently, they may be entitled to significant compensation for their losses. 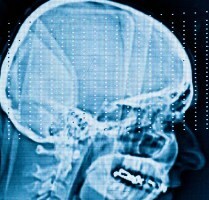 Our Boston brain injury attorneys are dedicated to protecting the rights of injury victims. We also are committed to raising awareness about the dangers of brain injury and repetitive brain trauma. Traumatic brain injury (TBI) and repeat head injury can cause long-term and permanent brain damage. NHL players are seeking damages for brain trauma and injury caused by their NHL careers. The case was filed in federal court in Washington State on behalf of players who retired on or before February 14, 2013. The National Hockey League players claim in their lawsuit that the NHL knew about the scientific evidence linking repeat head injuries to a risk of illness or disabilities. They also allege that even after the NHL created a concussion program to study brain injuries, the league took no appropriate action to reduce the number of severe injuries and concussions between 1997 and 2004. According to the players’ attorneys, the NHL relied upon and profited from the detriment of the players. It wasn’t until 2010 that the NHL made it a penalty to target another player’s head. The lawsuit claims that the NHL’s concealment of the severe risk of brain injury made players exposed to unnecessary dangers that could have been avoided. Leaders from the NHL have acknowledged the lawsuit and claim that the league has been responsible in managing player safety. The league is planning on defending the case vigorously to prevent excessive settlements or jury verdicts. Comparatively, the National Football League agreed to pay a $765 million settlement to the thousands of former players and their families who suffered because of long-term and permanent brain injury. In addition to compensating victims and their families, lawsuits have the additional benefit of forcing change upon negligent entities. According to the NHL lawsuit, the league continues to contribute to injuries by refusing to ban body checking and by employing “enforcers” whose main objective is to body-check and violently impose themselves on other players. While some may argue that this is the nature of the game, players who have suffered long-term and permanent brain damage see it as negligent management of a sports league. Former NHL player-plaintiffs in the suit have suffered multiple concussions, post-traumatic head syndrome, headaches, memory loss, dizziness and other permanent injuries. If you or someone you love has suffered a brain injury, contact Jeffrey S. Glassman for a free and confidential appointment to discuss your rights. Call 888-367-2900.